Fruit chutneys are excellent for adding that extra touch of flavor to meat, poultry, or fish. And almost any fruit can be made into a chutney, which is basically a relish. 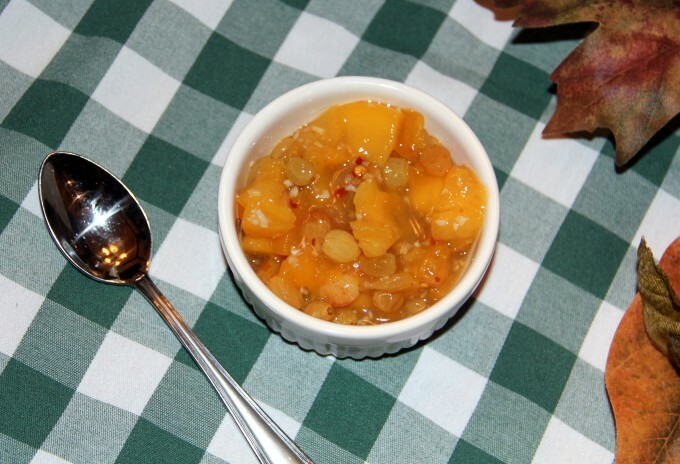 Around the holidays, I always have some of this peach chutney on hand. It is a splendid accompaniment for my Bourbon Orange Ham or Roasted Turkey, with just the right balance of sweet to tartness. This is also nice in the summertime, when you can use fresh peaches. You’ll need 2 lbs. of sliced frozen peaches, drained, thawed, and chopped into pieces. To the peaches add fresh lime juice and stir together. Let the peaches macerate with the lime for about half an hour. 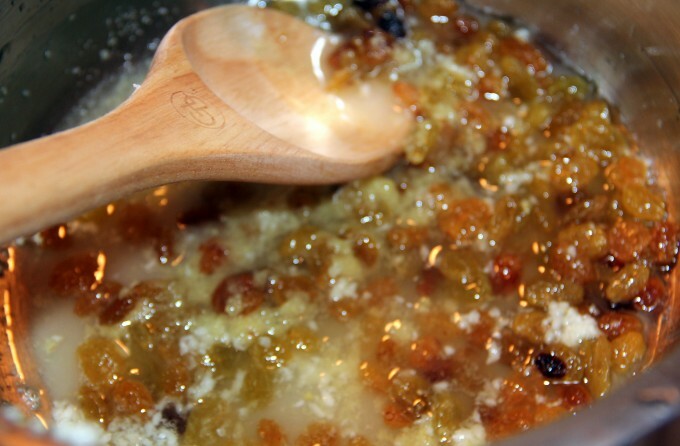 Then in a large saucepan, combine sugar, apple cider vinegar, golden raisins, fresh ginger, garlic, salt, and crushed red pepper flakes. Add the peaches and bring to a boil. Reduce heat and simmer for about 10 minutes. You can make this several days in advance so it’s one less thing to do on the big day. 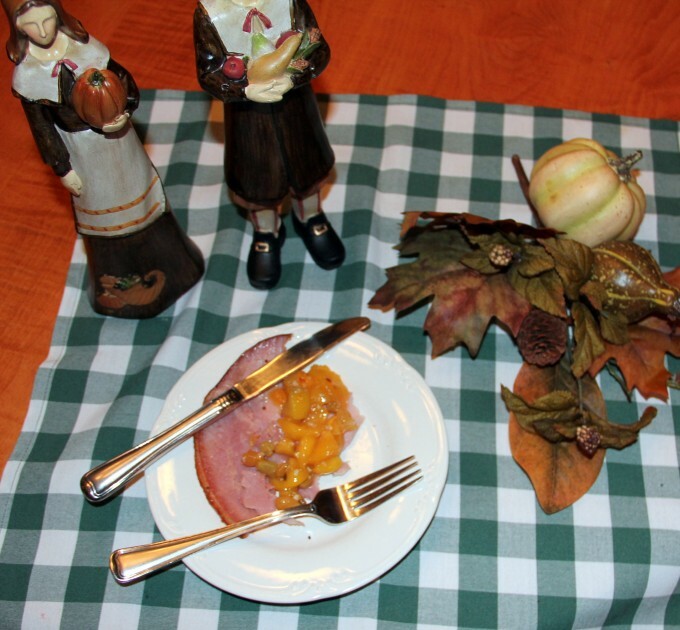 A savory and sweet peach chutney that can be made with fresh or frozen peaches and goes great with Thanksgiving ham or turkey. 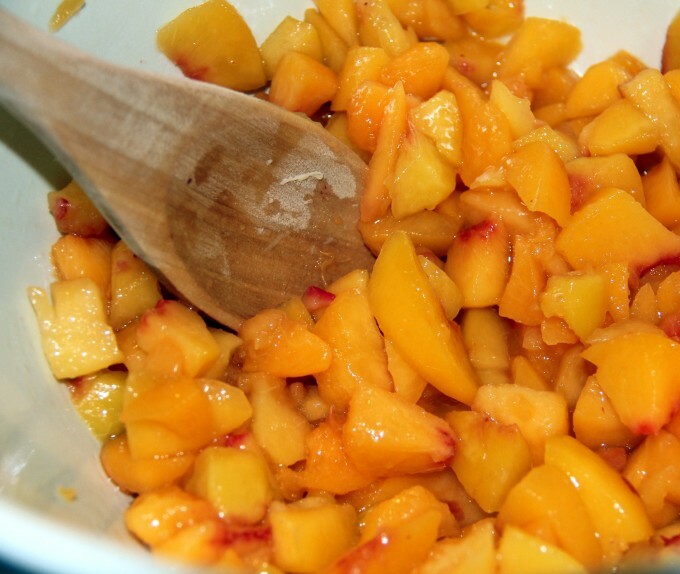 In a large bowl, toss peaches with lime juice and let sit for half an hour. In a large saucepan, mix remaining ingredients. Add peaches and bring to a boil. Reduce heat and simmer for 10 minutes. Will keep in the refrigerator for several days. Everyone’s tastes are different, but I wouldn’t want this on a morning biscuit…the garlic and ginger make it much more savory/tart than sweet. I’m partial to sweet jams or jellies on my biscuit 🙂 But delicious on baked ham, chicken, or fish.